Making a reality of Sustainability entails adopting best practices, namely, corrective or improved measures implemented in every area of management and operations. SSTDI Sustainability framework ensures least negative impact to the environment, services and/or product quality and image are improved, business development becomes more efficient, and therefore, social and economic growth is achieved. HOTELS, RESORTS, HOSPITALITY, TOUR OPERATORS. Make the difference. 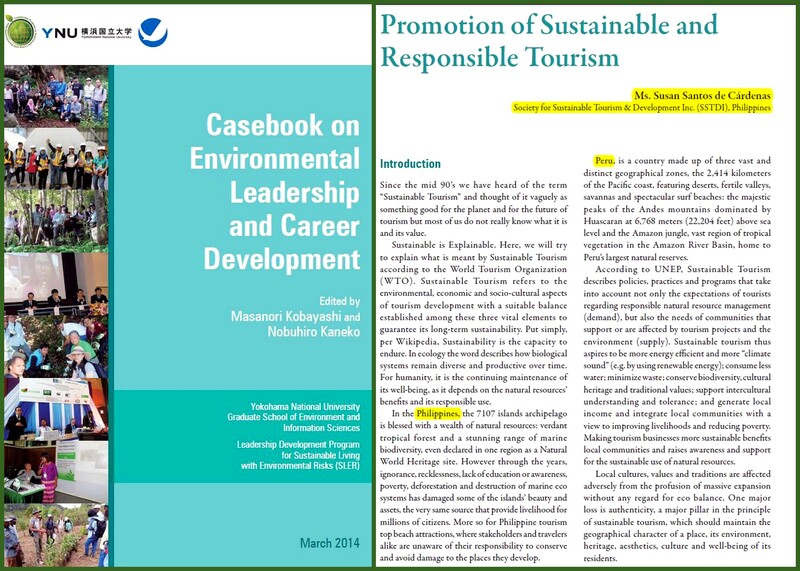 Adopt the Global Sustainable Tourism Council (GSTC) Criteria for Hotels and Tour Operators, to understand and implement sustainable tourism best practices, that any tourism business should aspire to reach. They are organized around four main themes: effective sustainability planning, maximizing social and economic benefits for the local community, enhancing cultural heritage, and reducing negative impacts to the environment. Learn ways to “green” your next M.I.C.E./Event (not to mention all those Festivals, Fiestas & Fetes). Book or learn the Sustainable Events Management with CSR Workshops. Support and communicate your corporate citizenship and concern for local communities in social responsibility initiatives. Provide partnership and support to local and international non-profit or non-governmental organizations in their Sustainable Tourism & Development programs with facilitating tools and manpower. SSTDI could be the partner of choice international organizations for the implementation of environmental, sustainability, green, other social responsibility programs in the Philippines. Technical and expert assistance programs on environmental management, initiatives and collaborative undertakings, as well as training and capacity building.